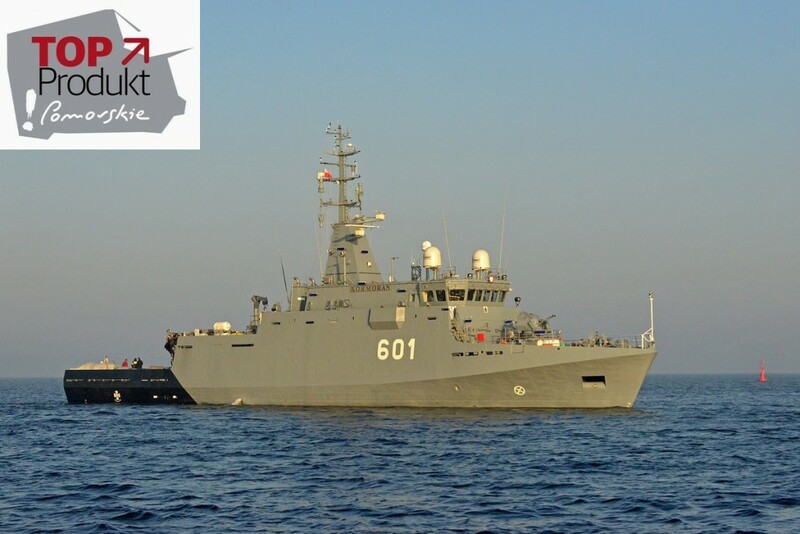 The ORP Kormoran minehunter has emerged as a winner of the TOP Product Pomorskie 2018 (Top Product of the Pomorskie region) plebiscite organized by “Dziennik Bałtycki” daily. Products and services that have been created and manufactured in Pomerania competed for this prestigious title in several categories. The winners of the competition are chosen by the chapter. At the same time, the TOP Produkt Pomorskie 2018 plebiscite was held, in which readers and Internet users voted for the best, in their opinion, proposal from among the applications submitted. Presentations of the reported products and services appeared in the pages and on the website of “Dziennik Bałtycki” from April 13. The voting lasted until April 24, and the competition was – as the newspaper informed – fierce. The largest number of votes, over 21,000, and thus the title of the TOP Pomeranian Product 2018 in this plebiscite was won by the minehunter ORP Kormoran, the first new ship in over 20 years handed over to the Polish Navy, designed and built in Gdańsk. The ship was built by a consortium consisting of the Remontowa Shipbuilding SA shipyard (leader), the entity belonging to the Remontowa Holding capital group and the research and development institution – Centrum Techniki Morskiej SA. The ship’s design was created by Remontowa Marine Design & Consulting. During the construction, an innovative technology was used to manufacture the hull of amagnetic steel. It ran in a sterile, controlled industrial process of the 21st century and controlled ambient conditions. Centrum Techniki Morskiej SA developed and delivered an Integrated Combat System, including: a ship command support subsystem, passive defense system, underwater observation system, including hydro-location stations and mine destruction charges. ORP Kormoran is the first in a series of three modern minehunters, which are to be delivered to the 13th MCM Squadron, which is part of the 8th Coastal Defense Flotilla.